The new Italian industrial complex entirely dedicated to the development and production of cell and gene therapies is called EXELLULA and it will be a world centre of excellence for nonviral technologies. FLYn’ICE, on the other hand, is a project for the transport with drones of Cell and Gene Therapies (CGT) products. Anemocyte, the first BMO, Biotech Manufacturing Organization, active in the field of cell and gene therapies (CGT), has launched an important growth strategy by planning a series of significant investments in production capacity, technology and innovation: EXELLULA project, the first Italian industrial complex entirely dedicated to the development and production of Advanced Therapy Medicinal Products (ATMP) for third parties, and a world centre of excellence for nonviral technologies. It is an all-Italian investment aimed at creating the most important national manufacturing centre for Cell and Gene Therapies (CGT), one of the most significant private investments in the sector of contract manufacturing of cell and gene therapies currently underway in Europe, with over 2000 square metres of GMP and GMP-compliant facilities for the development and production of Advanced Therapy Medicinal Products (ATMP) and over 500 square metres dedicated to their research and innovation. 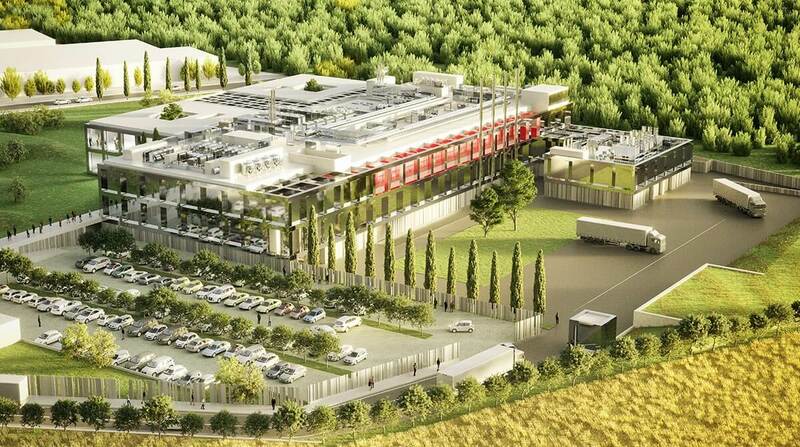 The EXELLULA Project provides for the redevelopment, partly completed, of the current Anemocyte headquarters at the Insubrias BioPark in Gerenzano, Varese, and a further expansion which, over the next three years, will lead to the construction in a town near Milan of an innovative centre entirely dedicated to the contract development and production of cell and gene therapies, which in its initial phase of implementation, is expected to triple the company’s current GMP (good manufacturing practice) capacity. Anemocyte aims to contribute to the evolution of the Cell and Gene Therapies (CGT) sector also in the field of logistics. The innovation proposed by the Italian company at Phacilitate 2019 involves the use of special drones to transport new drugs from the pharmaceutical production sites that, like Anemocyte, are authorised to manufacture them, to clinical centres involved in clinical trial or treatment activities. The FLYn’ICE, developed by Anemocyte in collaboration with RPS Aerospace S.r.l., a leading Italian company in the design and production of drones, aims to solve important problems such as logging, data traceability, the certainty of delivery times and everything involving the “human factor” associated with traditional logistics. Advanced Therapy Medicinal Products often have to be administered to patients within a few hours of production and, equally often, are tailored to individual clinical needs, which are in fact crucial to the patient’s life. A delay in delivery, a loss of such products or even an excessive variation in temperature during their transport can make it impossible to treat the patient for whom they are intended, risking, as a result, to aggravate the patient’s often already precarious health conditions. This new mode of transport also aims to ensure that the raw material from the patient (blood, apheresis or biopsy) for the production of personalised medicinal products arrives at the production site under optimal conditions. The FLYn’ICE project will use RPS Aerospace RPA Discovery drones, totally autonomous, lightweight, equippedwith a pod, a special cryogenic storage system capable of maintaining and monitoring the temperature of drugs during flight. The pod will also be equipped with an anti-tampering system that will ensure integrity and security, preventing access to the product by unauthorised persons. The FLYn’ICE, born two years ago from the synergy between Anemocyte and RPS Aerospace, is currently in an advanced testing phase. At present, a campaign of 100 experimental flights is underway, supported by Enac, the Italian Civil Aviation Authority. The first simulation flight, on a real 50 km route, is scheduled by spring 2019. All rights reserved 2017 © Anemocyte S.r.l.